You can’t learn much about, say, sailing or skiing by reading about them. And you certainly can’t learn much about yourself sitting on a couch watching television. The real learning is in doing. The joy of learning — at last count I have completed about 85 Teaching Company courses of an average 36 lectures each and 13 Pimsleur language courses of 30 lessons each. We hear this over and over: how important high schools are in educational formation. In fact, many folks will tell you it’s more important where kids go to secondary school than where they go to university (in most cases). Similarly, high-school experiences are often more impactful than college ones when it comes to future life trajectories, simply because younger minds are more impressionable. Something to think about. It's Experience That Makes The Difference. Albert Einstein once quipped that an education is what remains after you forget everything you learned in the classroom. At QBE (Qualified By Experience), we try to keep sailing instruction to a minimum and let crew members learn the ropes by themselves. That includes navigation. We teach participants how to do it, but then it’s up to them to chart their courses. Given a number of choices based on tides, wind, and weather, crew members decide where they want to go and how to get there. Sometimes, things go pear-shaped. For example, once in the Mediterranean, a crew set out for St.-Tropez, in France, and wound up instead in Sanremo, in Italy. Mistakes happen. But everybody learned something about nautical navigation that day. We use the boats we use because they are small enough for neophytes to sail without a lot of hands-on supervision. Of course, an instructor/skipper is always on hand to make sure the boat and crew are never in danger—and to answer questions—but our crew members are largely on their own after a few days of orientation. In fact, one of the biggest challenges we face is getting our skippers to shut up, stand back, and avoid the temptation to “over-teach.” When people learn by experience, they tend not to forget the lessons they learn. St.-Malo. First place. Pop the cork! And there are lots of other fabulous small beaches in the neighborhood. 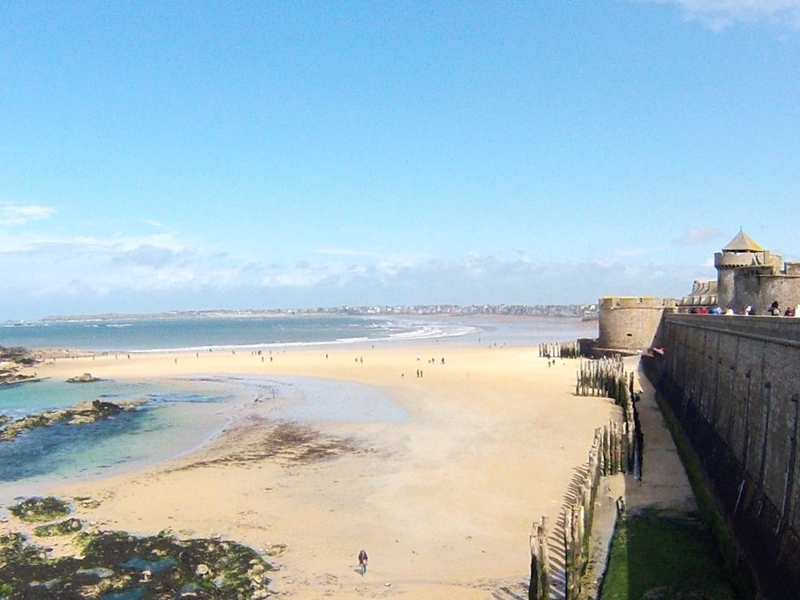 St.-Malo really is the bee's knees. One more reason why you should consider a visit—and enjoy the water. St.-Malo's first-place beach—at least for a year. In a world where cell phones and video games take up an inordinate amount of teenagers' time, it's useful to know there are places they can go where they're off the digital grid. Taking an ELS expedition is like stepping back in time. 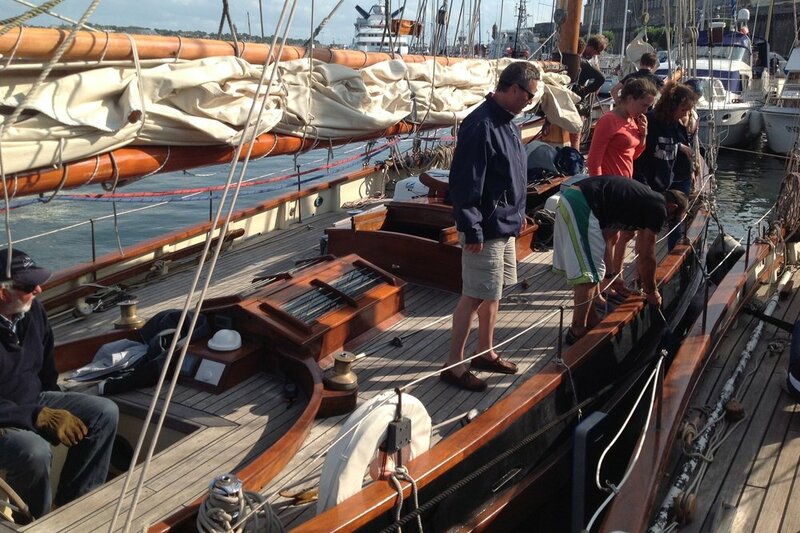 Much of the English Channel is a wilderness and our boats are constructed using a 19th-century design. They don't come equipped with Wi-Fi. While we want crew members to be able to take and share pictures of their adventures, technology usage is extremely limited. That leaves ample time to absorb new experiences, learn new skills, and make new friends. Want more evidence of the benefits of digital detox? Click here. The impact [of completing an outdoor adventure course] doesn't just take the form of a thrill, it takes the form of a revelation: "OMG, I can't believe I just did that. Wow! What else might be possible?" Indeed—all sorts of things. There's an enormous satisfaction that comes not only from overcoming your own self-doubts, but in realizing so many new possibilities. And when goals become more ambitious, motivation and grit inevitably emerge. True self-confidence spawns self-discipline. Organizing towards future objectives becomes second-nature. Traditional boats in good working order are relatively rare. They were never produced on modern assembly lines, and only a few boatwrights still build them. That means they are/were hand-crafted by passionate artisans. And so we like them. Each of ours has its own unique personality, and both were constructed not only with old-school expertise but with love. Of course, with so much rope, they're a lot of fun to sail. If it's character you're trying to build, it helps to surround yourself with things that exude (charm and) character. That would include not only our boats, but many of the places we visit. You can use all sorts of boats to go on a sailing expedition. But why settle for something ordinary when something truly exceptional is available? In late February, 2016, GPS (CNN) host Fareed Zakaria interviewed Alec Ross, former senior adviser for innovation to former Secretary of State Hillary Clinton and author of a new book, The Industries of the Future. "It is a book written for recent graduates, predicting what the next 20 years will bring, which industries will boom, which jobs will grow, and perhaps most importantly, which skills will be necessary to compete." Here is an excerpt from that interview. —ZAKARIA: So young people listening to this, parents listening to this, will wonder what should we do to prepare for this new world? —ROSS: I have a 13-year-old son, an 11-year-old daughter and an 8-year-old son. And I really wrote this book to try to light a little path for them. Sixty-five percent of all jobs for children entering primary school today will go into job titles that don't presently exist. And so I have a chapter in the book called "The Most Important Job You'll Ever Have," which is parenting, which focuses on the skills and attributes that today's kids will need in tomorrow's world. And I point out two things, first: interdisciplinary learning. We've got to be able to take science, technology, engineering and mathematics and combine that with skills in the humanities focused on 65 percent of jobs go into jobs that don't exist. [...] I point out two things. first, interdisciplinary learning. We've got to be able to take science, technology, engineering, and mathematics and combine that with skills in the humanities focused on persuasion, teaching and other such things. The second thing I would say is language learning, foreign languages and computer languages. The world is growing more global. People who are prepared to work on a 196-country chessboard are going to be those who are best positioned [emphasis ours]—and computer coding because, if you are a competent coder, you basically have a few decades' worth of guaranteed employment in front of you. The drums are getting louder: early international exposure is becoming increasingly essential in the age of globalization. Just something to bear in mind when considering summer programs for teenagers. Declining student resilience a serious problem? Not if we can help it. 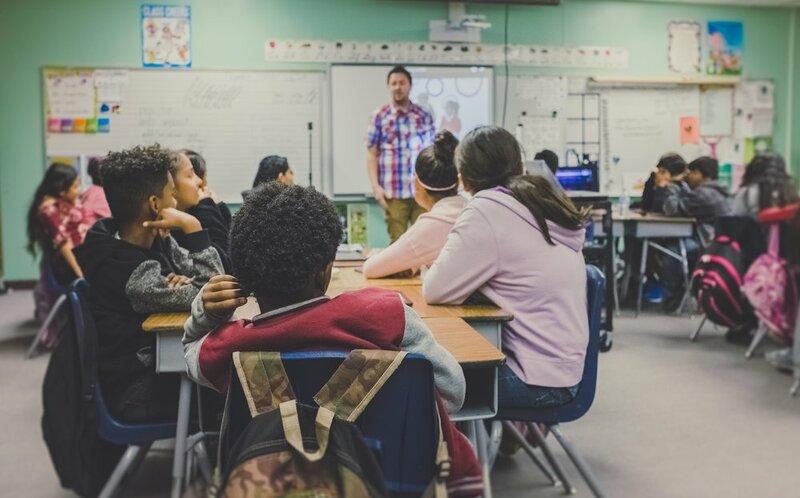 Psychology Today recently published an article about the problem of declining student resilience and the impact it's having at universities in the United States. This is a problem we can help fix. In fact, it's precisely what our courses are designed to do—and much more.